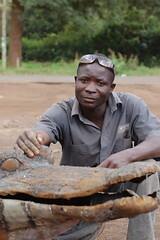 Hardware hacking is what Solomon King does in Uganda, he already makes his own robots, now he’s taking that idea a little further. He’s taking it to kids, trying to get robotics into the hands of Ugandan youth through his Fundi Bots project. (Fundi is the word for technician). Their plan comes in three parts: a lab, school robotics clubs and robotics camps. That first item is important, a lab. A central place where the members of Fundi Bots can come in and find the relatively expensive tools, software and computers needed to make the robots and learn together. It gives a hub to their spokes of activity taking place in the schools throughout the year, a much needed “club house” for the community. This is an idea that effects everyone across Africa, a space like this is accessible and usable by young and experienced, rural and urban inventors and entrepreneurs. As much as weâ€™d like to pretend that the ideas coming from outside of Africa will be picked up and used, the truth is that the ideas need to come from Africans for themselves and their community. 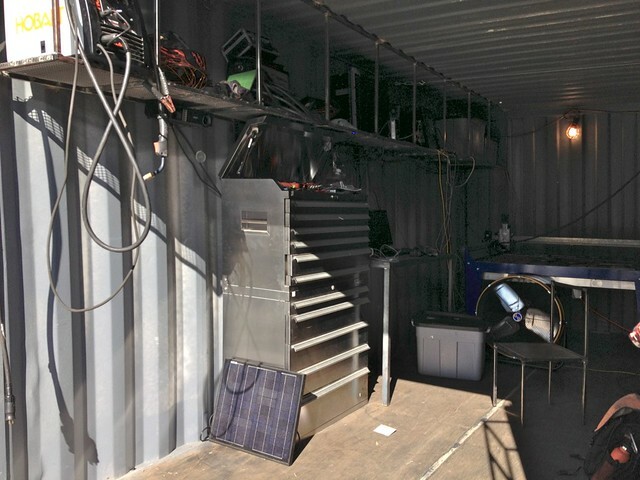 An open Hacking Garage platform is where real hardware innovation for Africa will come from. Interestingly, the founder of Fundi Bots is from the software side, he’s the CEO of his own web services company Node Six, and a well-respected member of that community. I find it interesting that a lot of times, the people who get into the robotics side come from a software background. What I find even more encouraging is that Solomon and his colleagues in this enterprise, Betty Kituyi and Gasper Obua, are doing this on their own. They aren’t waiting for investment, grants or some other form of support to get started. Instead, they’re creating robots, making inroads into schools and figuring it out as they go. Too many times people sit on a good idea and make excuses for why they’re not doing something about it. That’s not the case here. 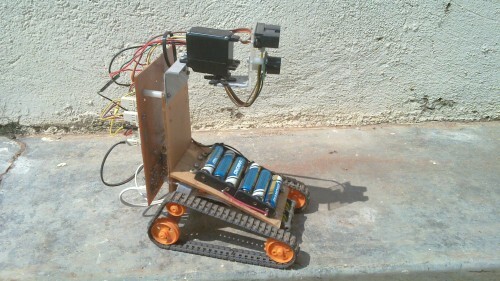 Finally, if you’re interested in Fundi Bots, I do know that they could use some support. It might be getting them into schools, or connections with robotic parts manufacturers or resellers. Put together by Steve Daniels, Myles Estey and Niti Bhan, Makeshift is a new quarterly magazine and journal about maker culture from far parts of the world. The first publication will be themed “Re-culture: Reuse, repair, and recycle at the grassroots,” featuring stories such as everyday product hacks in Kenya, industrial fabric recycling in India, improvised tools in Myanmar, recycled art in Colombia, and adaptive reuse of industrial sites in the United States. Support their Kickstarter campaign. 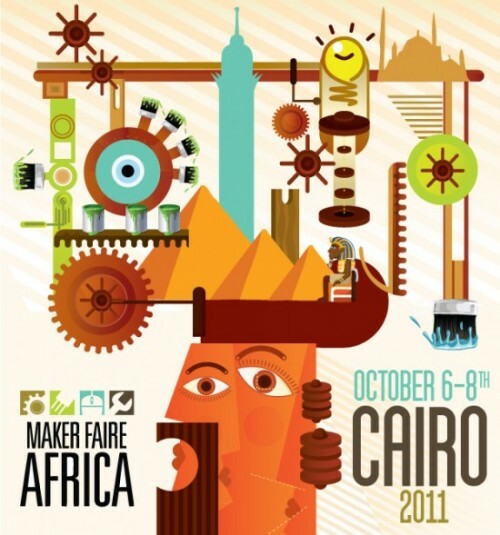 Also happening later this year is Maker Faire Africa, in Egypt. 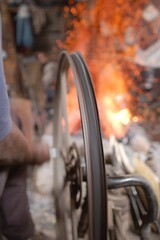 It’s a mashpit of hardware hackers, just like Solomon, who are creating new inventions and making new products. This is the third Maker Faire Africa, following Ghana and Kenya, and will bring a unique northern Africa flavor to the event. Maker Faire Africa (MFA) is a new event celebrating the innovation, ingenuity and invention within Africa – happening August 13-15 of this year in Accra, Ghana. First off, help spread the word! Let people know where and when it will be. Share the link to the site, grab a badge, blog it. Second, help us find sponsors. If you know an organization or individual who would like to support this amazing event, put us in touch with them. It could be monetary, or it could be donating some cool gadgets, gear, tools or devices for people to hack on while there. (example idea: we’d love to get some LEGO Mindstorm kits for the local high schools). Third, come. If you have the time and ability, we’d love to have you, your ideas and your gadgets at MFA. Maker Faire Africa is an event happening next summer in Ghana. It needs a logo though, and for the designers who read this, it’s your chance to win a quick $250. Jump on over to THE CONTEST to get started. 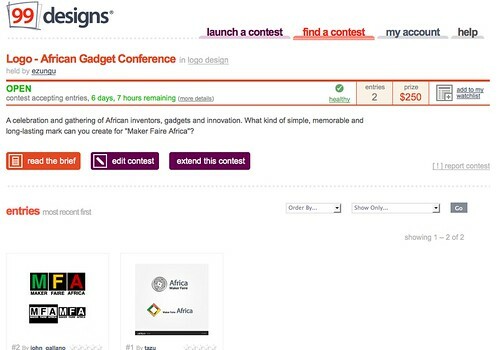 What is Maker Faire Africa? This logo will be used on the redesigned website, print materials and t-shirts. 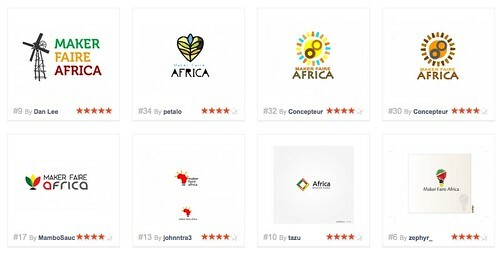 A couple months back I tested out 99designs.com for logo creation, and was incredibly impressed with how easy it was to get going and for designers to take part in quick project work. The contest is open for 7 days (Dec 25th – Christmas), and anyone can go register as a designer to submit an entry. Once you’ve registered and submitted a design, I’ll be leaving feedback on what direction to take it, and I’ll rate them using their 5-star system. You can submit as many entries as you like. Make sure you read the creative brief before you go too far. We realize that one of the main problems with any contest like this is Africa is payment to the winner. We’ll be creative in making sure that if the winner does come from anywhere in Africa, you’ll get paid. I am part of the organizing team, along with Emeka (Timbuktu Chronicles), Mark (Ned.com), Amy Smith (MIT IDDS), Lars (MIT), Nii (Nubian Cheetah), and Juliana (Afromusing). It is in the very early stages of organization, and we’ve each contributed some money to get the logo created. 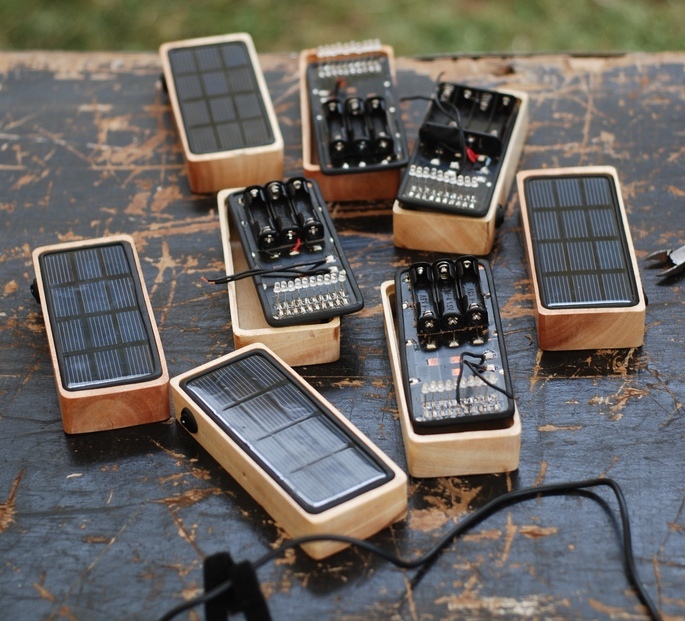 O’Reilly, along with the guys at Maker Faire have given us their blessing to use the name. Ken Banks is the creator of FrontlineSMS, which is used in Ushahidi as a way to allow local phone numbers to be used for incoming messages. There’s a dependency that I’m not a big fan of though – you have to know how to download it, setup and activate it on your computer. That’s a huge barrier to entry. As Ken just posted, we were roommates at last months Pop!Tech Fellows program. We’ve known each other for years, but this gave us a chance to talk at length around certain ideas that had been frittering about in the back of our heads. One such idea was how we could get rid of the need to own a computer to run FrontlineSMS (and from my perspective, sync with Ushahidi). 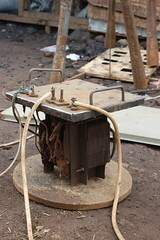 If you have someone trying to run an operation in a developing nation, you don’t always have the luxury of having a computer and/or an internet connection. What if you could run this whole system locally from a microSD card, slotted into the side of a USB GSM modem? Doing this would effectively remove the computer (the largest expense) from the system entirely. That’s a very powerful idea. By taking away something, you make it more powerful and more useful to the user. It means a lot for those who are trying to remain under the radar and it means they could do their messaging effectively, and with a lot less knowledge of the system, than is currently needed. Both Ken and I would like to hack a prototype of this together, so if there’s anyone interested in helping us do this, please let us know. If there are any MAKE fans out there, this might be right up your alley. We’ll both be in Nairobi from Dec 7-12, so if anyone there is game we’d love to do it then. This can also be done remotely too, so anyone want to work on getting FrontlineSMS native to a device such as this?